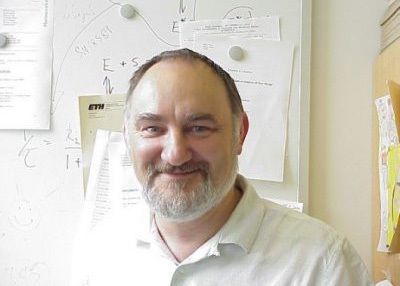 Malcolm Page, PhD, studied Biochemistry in the U.K. and worked at the EMBL Heidelberg and the Biozentrum, Basel. He joined Roche in 1990, working on the discovery of β-lactamase inhibitors and anti-MRSA cephalosporins. He subsequently became responsible for exploratory projects in the Infectious Diseases therapeutic area and worked on the validation and screening of novel targets for antibiotics. Later, he led the Discovery Technologies group at Roche. In 2000 he joined Basilea Pharmaceutica as Head of Biology and has continued to work on the discovery of new antibiotics. Malcolm Page is author of over eighty original research articles, numerous posters as well as patents, reviews and book chapters. He is a “Privatdozent” for Biochemistry at the University of Basel and a visiting lecturer at the Department of Organic Chemistry of Bern University. In 2002, he was appointed honorary Professor in Biological Sciences at Birmingham University. Since retiring in 2015, he continues to work as a consultant in antimicrobial drug discovery, including with the Innovative Medicines Initiative “New Drugs for Bad Bugs” and is affiliated with the Jacobs University in Bremen, where he is Wisdom Professor of Medicinal Chemistry and Chemical Biology.